Legendary winnings and the adventure of a lifetime can be yours when you play Aztec's Treasure slot machine. The theme is a popular one, used by a variety of software developers. Titles include Aztec Riches, Aztec's Millions, Book of Aztec, Aztec Gold, Aztec Gems, Aztec Idols, and Aztec Moon. An RTG game, Aztec's Treasure slot machine provides all of the familiar bells and whistles, delivering crisp graphics and seamless transitions from one screen to the next. Bets begin as low as one cent per payline, providing a user-friendly gateway into the fun. Aztec's Treasure slot machine focuses on symbols from an ancient civilization to craft its background, icons, and game play. As you arrive at the game's opening, the screen is filled with verdant rainforests and gorgeous mountains with a backdrop of blue skies. Once you begin game play, all of that changes quickly to the familiar 3 by 5 grid featuring the reels hinting at the next big win. Twenty paylines make it possible to win anything from a small amount to a huge jackpot, depending on two things – your bet and your luck. The rewards are seriously intense, giving you plenty of reason to get in on the quest to find a bit of treasure for yourself. Big rewards are yours for the taking if you collect one or more icons featuring wild leopards, masks worn by witch doctors, beautiful women, and glistening trinkets of gold. The wild leopards guarding the treasures of Aztec's kingdom fetch a hefty finder's fee of 2,500 coins. As to be expected, the top prize goes to anyone finding one of the beautiful women in the kingdom, fetching a prize of 5,000 coins. If you capture one of the women, you may trigger more ways to win as icons collapse and new lines form. Lesser prizes are offered as well. Finding the masks worn by witch doctors gives you 1,000 coins, while each of the glistening trinkets of gold are worth 500 coins. Other perks for Aztec's Treasure slot game include free spins with multipliers, a golden idol wins for max bets, and an enticing progressive jackpot. In fact, the golden idol win is triggered through the games scatter system. 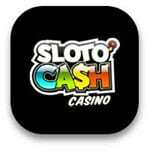 All you need to do is spin the reels and wait for the prize to come to you. Discovering three, four, or five golden idols can trigger a multiplying win along with five, fifteen, or twenty-five free spins and tripling of any money won during the scatter round. 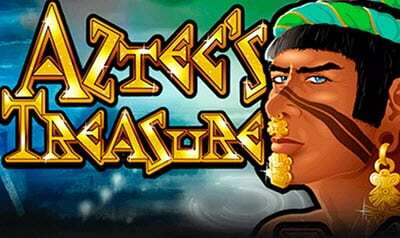 Aztec's Treasure is a must-play casino slot game. The treasure is enticing enough to keep anyone in good spirits as they spin through a medley of idols, gold, and women. Play at Aztecs Treasure Now !